The Nashville Scene's Pith in the Wind blog covered last week's Thanksgiving DREAM Act rally by Tennessee youth who have been outstanding in every way but aren't allowed to give back to the country they grew up in, due to an immigration status over which they had no control. Steve Haruch covered the young people's collection of food for the needy, and Betsy Phillips remarked on the uphill battle for the legislative fix these kids are hoping for. These new pilgrims, brought to this country as minors by their parents, spoke about their desire to further their education and become contributing citizens of this country, the only home many of them know. They asked Senators Corker and Alexander to support the DREAM Act, which will be reintroduced in the following days in the Congress of the US. This piece of legislation, first presented in 2001, would allow thousands of undocumented young students to attend college, gain legal status and become productive members of our nation. As for the substance of the DREAM Act, it's a lite version of immigration bankruptcy: a qualifying applicant would get a fresh start in exchange for proving good behavior and making certain future commitments. The DREAM Act is for kids only. As I've said before, dedicated youth who have no individual culpability for the fact that they don't have a visa deserve at least one chance to earn legal status. It's for those who demonstrate personal responsibility in the circumstances they can control, like their studies and extracurricular activities. Instead of wasting the beneficial America-child relationship that has been developing throughout their young lives, we should be realizing that these people are already our assets - already "us" - and we must make sure our laws see them that way. To those who are convinced, you can take action in favor of the DREAM Act by visiting www.dreamactivist.org - and from there, you can contact your legislators. 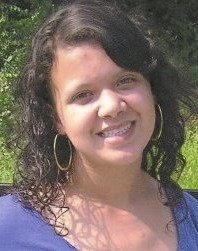 For previous posts on HispanicNashville.com about the DREAM Act (going back to 2004! ), click here. Happy Thanksgiving! 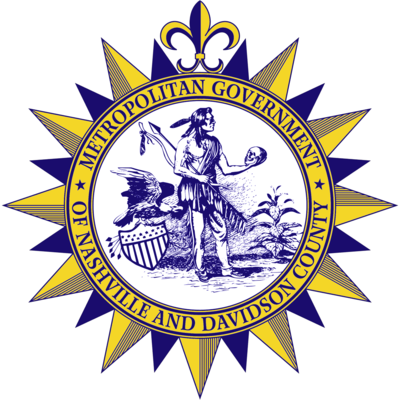 Speaking of pilgrims, Indians and turkey, have you ever seen the Indian in the official seal of Nashville and Davidson County? The official seal - reproduced in its entirety in the official city/county flag - features Chief Oconostota, a Cherokee "king" also known as Stalking Turkey. And even though the seal was designed less than a half century ago, it contains elements of the seal used by the city much earlier in its history. As a result, no one knows why Chief Oconostota is featured in the seal, much less why he is holding a skull. Or even if that is really him. The brave is the symbol of America and is holding a skull and his implements of war which he and the great white father, Gen. James Robertson, buried between them at the ceremony of peace. The tobacco is the Indian's gift to the white man and the source of wealth and cultivation of our land. The eagle, only bird that neither flees nor fights a storm, but flies above it, symbolizes superiority, judgment and strength in the face of danger. Leaves you wondering, though, doesn't it? Like something is still unexplained. Has Betsy Phillips written a ghost story about this yet? Marrero talks about historic events during his life, including one around the time of his birthday, in this post about remembering September 11. Photo by neiljs. Licensed via Creative Commons. Dr. Ric Morris, associate professor in the MTSU Department of Foreign Languages and Literatures, will discuss opportunities for students and faculty to study and conduct research in Cuba at 8 a.m. this Sunday, Nov. 21, on “MTSU on the Record” with host Gina Logue on WMOT-FM (89.5 FM and wmot.org). 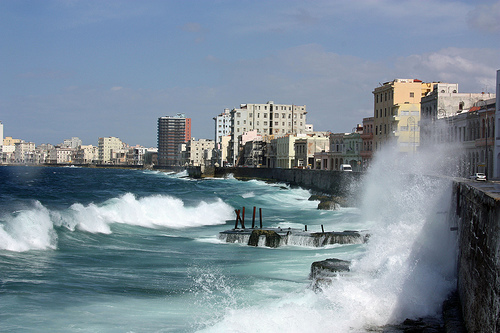 The program, known as “Project Cuba 2011,” will take place at or near the University of Havana. There also will be two hosted weekend excursions outside of Havana—one to Santa Clara, Topes de Collantes and Trinidad, and one to Pinar del Rio. 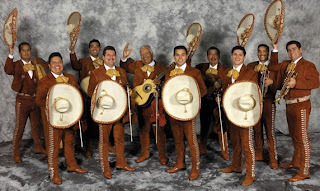 HispanicNashville.com has more stories about Cuba - Nashvillians with Cuban heritage, Cuba's connection to the Nashville Zoo, Cuban music and food in town - here. Out of all of the movie stars in the Volunteer State, Welcoming Tennessee is the newest. 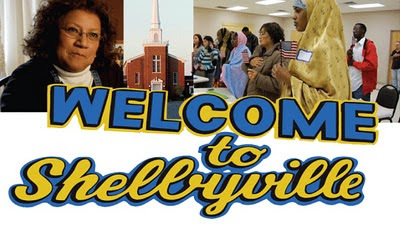 Welcoming Tennessee, a project of the Tennessee Immigrant and Refugee Rights Coalition, is featured prominently in the documentary film "Welcoming to Shelbyville," which will be shown in a free screening tomorrow, Friday, November 19, at 5:30 p.m. at Scarritt Bennett's Laskey Great Hall, 1008 19th Avenue South, in Nashville. The documentary, which bears the name of the Middle Tennessee city where it was filmed, is part of the Independent Television Service’s (ITVS) Community Cinema program. 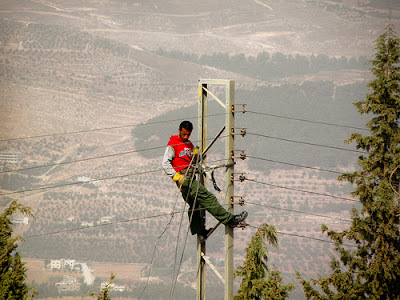 It will screen in over 90 communities in May 2011, to be accompanied by broadcasts nationally on the PBS series Independent Lens. 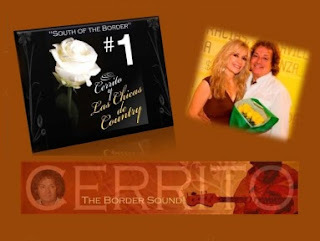 TIRRC launched its Welcoming Tennessee Initiative (WTI) in 2006, and began to focus on Shelbyville in last year, beginning with a billboard campaign, followed by several events held by the organization in conjunction with local groups such as El Centro Latino. Events in Shelbyville included a presentation by members of the Hispanic and Somali communities along with information about WTI; a citizenship clinic; a "unity and understanding" rally held at the Fly Arts Building with the Bedford County Chapter of Statewide Organizing for Justice; and another recent gathering involving the Somali community. What is remarkable about the Shelbyville story is that during the course of the year-long filming, long-term residents of the town start to change. You see the complexities and the fluidity of the way both immigrants and residents make adjustments to their way of life, to their way of thinking, and to their way of interacting with each other. How did this happen? It is likely that if a grassroots collaborative called Welcoming Tennessee had not stepped in, things may have gone very differently. The free screening tomorrow will be followed by a panel with individuals featured in the film. Light refreshments will be provided. The trailer is here and below. This International Health Care Trade Mission is the first of its kind to South America. Led by Jack O. Bovender, Jr., retired chairman and CEO of HCA, it is a unique opportunity for delegates to gain unparalleled insights on the delivery of health care in Chile and Argentina while setting the stage for future collaborations and exchange of best practices. Benefit from the unparalleled leverage and access provided by an executive-level mission. As we looked for potential destinations, we were surprised by the number of Nashville companies doing significant business in the region — names like Thomas Nelson, Gresham Smith and Gibson Guitar. So the general information that we’ll learn on this trip will also be helpful in a broader business sense. 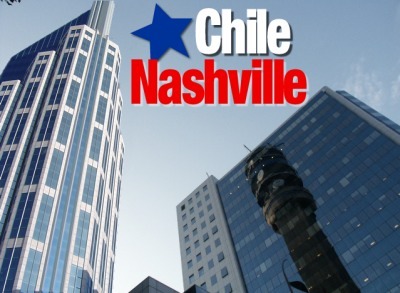 The Nashville Post is publishing "dispatches" from the group this week, including this Monday dispatch and this Tuesday dispatch, in which parallels were drawn between the business opportunities following Chile's earthquake and Nashville's flood. Ingrid Betancourt, who spent six and a half years as a hostage in in the Colombian jungle before her rescue in 2008, will be signing her book Even Silence Has an End: My Six Years of Captivity in the Colombian Jungle at 4:30pm today at the VU Bookstore. A reception hosted by Vanderbilt CLAS follows at 5:30pm in the Board of Trust Room of the Student Life Center, and Betancourt will deliver a keynote lecture at 7pm in the Student Life Center Ballroom. Details below. 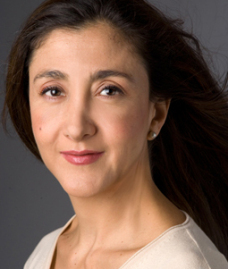 Guerillas belonging to the Revolutionary Armed Forces of Colombia, known as FARC, kidnapped Ingrid Betancourt as she campaigned for the Colombian presidency in 2002. She was held captive six years in Colombia’s rain forest until she was liberated in 2008 with 14 other hostages in a daring rescue staged by the Colombian army. She brings her story to Vanderbilt University, Tuesday, Nov. 16, where she will give a public lecture at 7 p.m. in the Student Life Center ballroom. Tickets for the lecture are on sale now. The university’s Speakers Committee, a student-run organization, is sponsoring the event. Betancourt will also sign copies of her newly released memoir, Even Silence Has an End: My Six Years of Captivity in the Colombian Jungle, at the Vanderbilt Bookstore from 4:30 to 5:30 p.m.
Tickets are free to Vanderbilt students, faculty and staff and must be picked up in advance at the Sarratt Student Center box office. Only one free ticket may be picked up per person with Vanderbilt ID. General public tickets for the event are available through Ticketmaster at 800-745-3000 or www.ticketmaster.com. General admission tickets are $10. Tickets are $5 for non-Vanderbilt students with valid school or university identification – these tickets are available at the Sarratt Student Center box office and Ticketmaster outlets. For more information, call 615-343-3361 or 615-322-2471 or visit www.vanderbilt.edu/studentcampusevents. Betancourt, the longest female hostage held in captivity, has become a global human rights activist meeting with world leaders and campaigning for the release of more than 700 hostages still being held captive by FARC. “I will not feel totally free, not happy, as long as one of my companions remains jailed in the jungle,” she has said. During her presidential campaign, she had been a critic of FARC and her platform was built on her promise to curb drug trafficking, corruption and the FARC’s methods of kidnapping innocent people. She had met with FARC leaders to encourage them to end these practices before becoming a victim of their rebel tactics. Betancourt has received numerous international awards, including the French National Order of the Legion of Honor, The Prince of Asturias Prize of Concord, The Prize Grinzane Cavour and was nominated for the Nobel Peace Prize. She also received the first Woman of the Year Award 2008 from the World Awards Association for her commitment to democratic values, freedom and tolerance. Bill Clinton needs your autograph. Australia, Japan, Qatar, South Korea, and the United States are the remaining countries in the running to host the 2022 World Cup (the USA dropped its 2018 bid when Europe emerged as a favorite for that year). Odds for the selection of the 2022 host make the U.S. a strong contender, but Australia is confident, and support is surging for Qatar. Former U.S. President Bill Clinton will make the USA's final sales pitch to governing body FIFA on December 1, and the decision will be made and announced December 2 in Zurich. Nashville is one of 18 U.S. host cities in the running if the USA wins its bid. 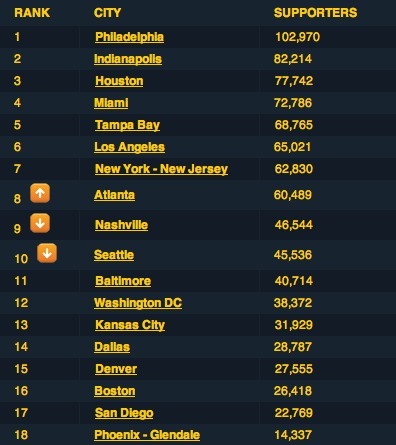 Residents of those 18 cities are trying to demonstrate their fan support by signing a petition at gousabid.com, and Nashville is currently in 9th place, dropping one spot after Atlanta moved up. See the leaderboard here. The list will likely drop to 10-12 cities if the USA is selected as host, and Nashville isn't the only mid-sized city in competition; Indianapolis is currently ranked #2 in number of resident signatures on the petition. Nashville fans, soccer fans, and Nashville soccer fans can sign the petition here or in the space below. More enthusiasm out of Nashville helps Music City's bid as well as the U.S. bid as a whole. Make sure Bill Clinton has your signature before he makes his final pitch. 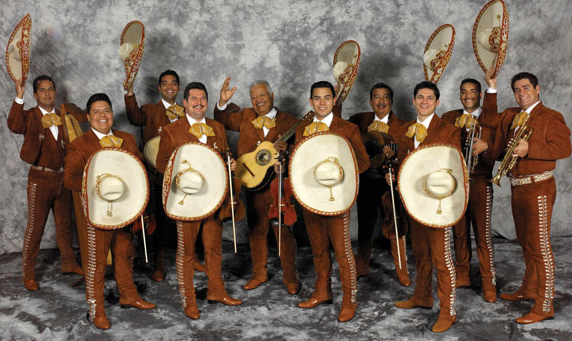 Stories connecting Nashville and the World Cup can be found on HispanicNashville.com here. 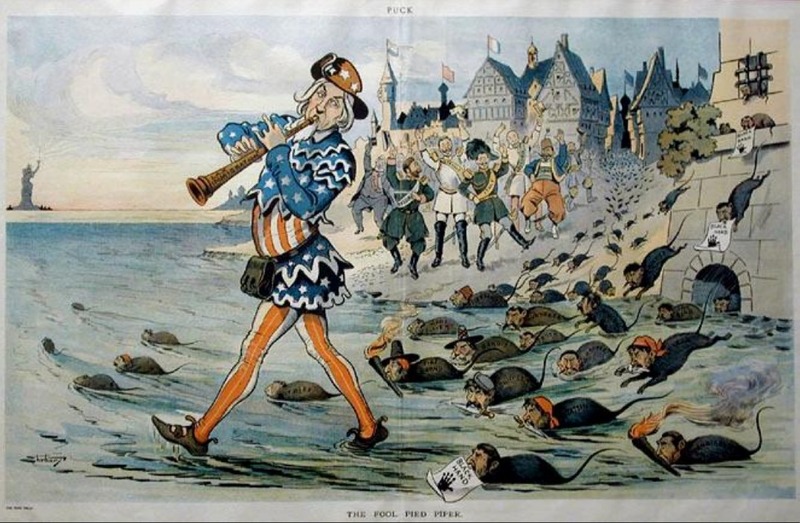 If your family was in the U.S. a century ago, perhaps they were the intended targets of the cartoon above, which appeared in Puck magazine to caricature immigrants as criminally minded rats following the tune of Uncle Sam's "lax immigration laws." 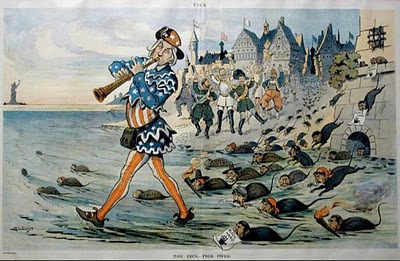 You would certainly hope that your American ancestors weren't the ones drawing or supporting this vile image. Fast-forward 101 years, and State Representative Curry Todd reveals that the same kind of sentiment is alive and well in the people's house - our Tennessee legislature. Caricaturing pregnant women as rats from his seat on the Fiscal Review Committee, Todd figuratively produced the Puck cartoon from his coat pocket, drew a woman's face on one of the rodents, added in a pregnant belly, and stuck in her mouth a piece of paper marked, "CoverKids application." Tennesseans are repulsed by the filthy sentiment. Rep. Curry has not had the decency to offer a genuine apology for his statement. Instead, he says that he wished he had used another "more palatable" term to describe these unborn children - "anchor babies." More palatable to whom? Not to me or anyone who cares about treating people with dignity. Read Soto's full response here and Holland's full response here. Last night in Memphis, representatives of the Tennessee Equality Project, Latino Memphis, the NAACP, Workers Interfaith Network, the Tennessee Immigrant and Refugee Rights Coalition, and the Memphis Gay and Lesbian Community Center gathered to call for apology and accountability (see TEP blog post here and Commercial Appeal article here). Soto's response also has a list of suggestions for concerned citizens who want to contact Rep. Todd. A couple of weeks ago, National Public Radio ("NPR") dropped a bombshell on Nashville-based Corrections Corporation of America in the form of a two-part investigative report accusing CCA of influencing Arizona's governor and legislature for the passage of that state's immigrant crackdown law, SB 1070, a measure that is characterized in the report as friendly to CCA's bottom line. legislators were in the hotel conference room with the Corrections Corporation of America the day the model bill [that became Arizona's SB 1070] was written. The prison company didn't have to file a lobbying report or disclose any gifts to legislators. They don't even have to tell anyone they were there. All they have to do is pay their ALEC dues and show up. The Nashville Scene ran with NPR's story. The national pro-immigrant blogosphere lit up at the news, as well. The Arizona Republic, however, a Gannett-owned sister publication of The Tennessean, was less enthusiastic, penning an editorial saying that NPR overreached in its investigative report. What did our Nashville neighbor CCA say in its defense about the NPR story? First of all, some facts about CCA's interests. In January 2010, the Nashville Business Journal reported that "CCA already owns and operates six prisons in Arizona, which primarily house immigrant detainees and prisoners from other states such as California." Phoenix's local CBS affiliate KPHO reported earlier this summer that over 23,000 people were picked up in Arizona and transferred by local and state officials over to ICE since 2007, and "hundreds of them ended in up [in] CCA facilities." The total bill for the federal population CCA detains or incarcerates in Arizona is $11 million/month, according to KPHO. Former U.S. Senator from Arizona and current CCA board member Dennis DiConcini said in September that CCA is a top-50 employer in Arizona, employing more than 2,700 Arizonans and creating more than $400 million in economic activity in the state. CCA readily reported last week that "population declines" at its facilities are a business risk. This past summer, Arizona media quoted CCA as stating, "We cannot support regulations that would result in the closing of facilities and the loss of hundreds of jobs in Arizona." CCA has unequivocally never lobbied or played any role in the passage of Arizona’s immigration law known as SB1070 and has had absolutely no involvement whatsoever in the drafting or writing of the legislation The Company has neither directly nor indirectly attempted to influence immigration policy, including SB 1070, and absolutely did not engage anyone in the Governor's Office on the signing of that bill. As a long-standing stated company policy and practice, CCA does not in any way engage in matters related to legislation that involves inmate or detainee sentencing, criminal code changes or reform. [S]ome critics charge that the company's success is related to its deep rooted ties to elected officials. In addition to CCA's record of campaign contributions to the Republican Party since 1997, there are significant connections between executives and government officials. J. Michael Quinlan, former head of the Federal Bureau of Prisons, has been an executive at CCA for the past decade. CCA’s chief lobbyist in the state of Tennessee is married to the speaker of the house. And CCA is a member of the American Legislative Exchange Council, a conservative group that writes and pushes bills on policy such as sentencing guidelines. In a 2008 episode of NOW, David Brancaccio reported, "The next prison market opportunity: companies say it is immigrant detainees," and the web materials for the NOW episode linked to ALEC. The broader question of whether private prison companies lobby for overincarceration goes way back, long before CCA's mythbusting reports of 2008 and 2007, among others. A 1998 policy study on Reason.org (a site CCA links to) answers the question this way: "There is little evidence of this kind of lobbying. Do private garbage collectors lobby against recycling? Do day-care centers lobby against birth control?" Gov. Jan Brewer’s campaign chairman and policy adviser is also a lobbyist for the largest private prison company in the country [CCA]. Chuck Coughlin is one of two people in the Brewer administration with ties to Corrections Corporation of America. The other administration member is communications director Paul Senseman, a former CCA lobbyist. His wife still lobbies for the company. National MSNBC host Rachel Maddow latched onto the KPHO reporting (and the Brewer campaign's backlash) in an 11-minute segment (video | transcript) days later. Before NPR, KPHO, and MSNBC, however, there was The Daily Censored on August 6, asking the same questions. And before that, in June 2010, non-profit media outlet In These Times ran a story on CCA's ALEC and lobbyist connections as they purportedly related to each other and to SB 1070 (check out the degrees of separation between all the players, as illustrated in the attached graphic to the story). CCA execs contributing to Brewer include the company's top brass: Damon Hininger, CCA President and CEO; "senior administrator" Anthony Grande; Gustavus Puryear, at one time CCA's general counsel; Todd Mullenger, executive VP and chief financial officer; and so on. We are not in the business of making moral decisions on U.S. public policy ... we've worked extremely hard not to get involved in the public policy decisions. On May 22, 2006, The Tennessean, CCA's hometown newspaper, ran a story under the headline "Immigration crackdown creates opportunity for prison company." This year, CCA was given Nashville Business Journal's Best in Business Award 2010 in the category for large employers. CCA's full response to the NPR story is here. The Tennessee Immigrant and Refugee Rights Coalition published its November Community Calendar, which includes Capoeira dance lessons (scroll down to see the full calendar). A desperate Nashville couple pursues an expensive — and illegal — stem cell treatment in Tijuana. The Tennessee Hispanic Chamber of Commerce* wants you to save the date for its holiday event December 2 at The Standard (167 Rosa L. Parks Blvd), from 11:15 a.m. to 1:00 p.m. Finally, check out this detailed comparison of employer sanction laws in South Carolina and Arizona. Tennessee put a similar law into effect in 2008, and, like Arizona's law, our Illegal Alien Employment Act has had little impact. including their #1 smash hit "South of the Border"
Big Bird and Elmo from Sesame Street are visiting Nashville's Adventure Science Center through December 5 in One World, One Sky: Big Bird’s Adventure. In the Turner Theatre of the Sudekum Planetarium, Big Bird, Elmo and their new friend from China, Hu Hu Zhu, observe the Big Dipper, the North Star, the Moon and more as they discover how their cultures view the stars in different ways. One World, One Sky runs daily. A Spanish version will run at 10:30 a.m. every Saturday through December 4, or to large groups or school groups with advance reservations. A Mandarin Chinese version will also run at 3:30 p.m. on Sundays through December 5. Groundhog’s Ground: While one participant directs a “groundhog” with a manual crank, other participants stand on grass and dodge the groundhog while learning how the animals move through the ground. Bird Land: Using the flapping of birds’ wings as an example, this exhibit allows visitors to visually understand simple machines and engage with the display by turning a wheel and rod. Bead Stream: Visitors are in control at this exhibit, moving strings of beads back and forth and observing how movement resonates down the different bead streams in waves. Garden of Gizmos is included with regular admission to the Adventure Science Center, $12 for adults; $9 for children ages 2 to 12, seniors 65+, active military families (with ID) and college students (with ID). Tickets to One World, One Sky in the Sudekum Planetarium are $6 with general admission tickets, $4 for members. For more information about these and other exhibits, visit www.adventuresci.com. Both One World, One Sky and Garden of Gizmos run through December 5. One World, One Sky was produced by Chicago’s Adler Planetarium, Sesame Workshop, Beijing Planetarium and Liberty Science Center, with major support from the National Science Foundation. One World, One Sky is distributed by Evans & Sutherland.